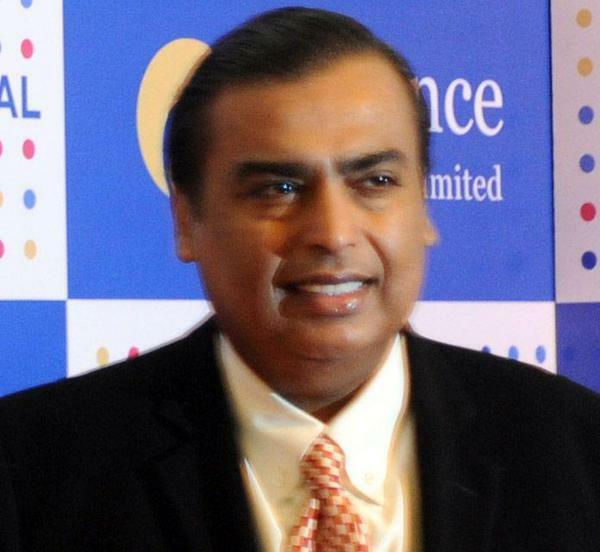 Industrialist Mukesh Ambani was today named India’s richest person for a ninth year in a row with a sharp increase in networth to USD 22.7 billion, while Sun Pharma’s Dilip Shanghvi was ranked a distant second with a wealth of USD 16.9 billion. The Hinduja Family moved up to the third position (USD 15.2 billion) on the annual Forbes list of India’s 100 Richest People. Wipro’s Azim Premji slipped one place to fourth with a networth of USD 15 billion. Patanjali Ayurved’s Acharya Balkrishna, known as a close associate of yoga guru Ramdev, has made a surprise entry at the 48th position with a networth of USD 2.5 billion on the list compiled by the American business magazine known for its rich lists. Forbes said the combined networth of India’s 100 wealthiest is USD 381 billion (nearly Rs. 25.5 lakh crore), a rise of 10 per cent from USD 345 billion in 2015. Mukesh Ambani’s wealth rose in the past one year from USD 18.9 billion to USD 22.7 billion (over Rs. 1.5 lakh crore) on 21 per cent surge in share price of Reliance Industries, the flagship company of his group, which recently launched 4G mobile services with much fanfare. He was ranked 36th in the global rich list. Younger brother Anil Ambani was ranked 32nd with a networth of USD 3.4 billion, down from 29th spot last year.